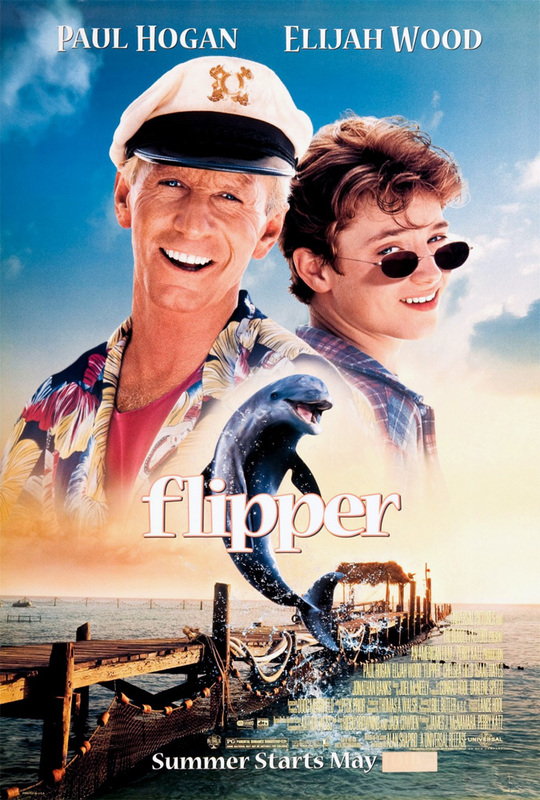 Elijah Wood is a boy who befriends a dolphin when visiting his uncle, Paul Hogan. VIOLENCE/GORE 3 - Wood is chased by a shark, Flipper is captured in a net, dolphins are shot at, Flipper's mom is attacked by a shark. LANGUAGE 3 - A couple of scatological references and a few mild obscenities. DISCUSSION TOPICS - Saving dolphins, capturing animals, friendship, adolescence, divorce. MESSAGE - We should help, not harm, animals.